Super rich and creamy and chock full of shellfish, if you like seafood this is a recipe for you. This is just a basic recipe...change seafood and ingredients that you like. 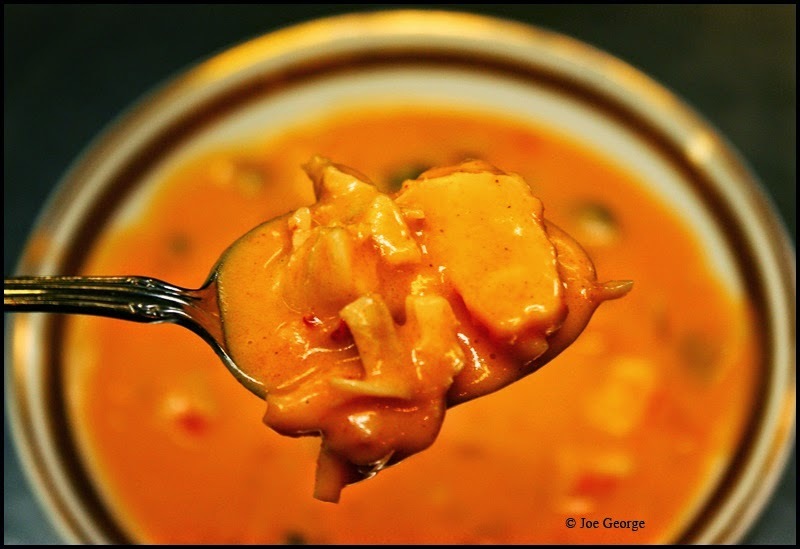 If you'd like additional chowder (and gumbo) recipes, along with its background, history, and lore, follow this link to an article I wrote some years ago. Combine the shellfish, water, and wine in a pot just large enough to contain it. Cover the pot and bring it to a boil. Lower to a simmer and cook the shellfish for about 15 minutes. Strain the shellfish from the broth, reserving both separately. 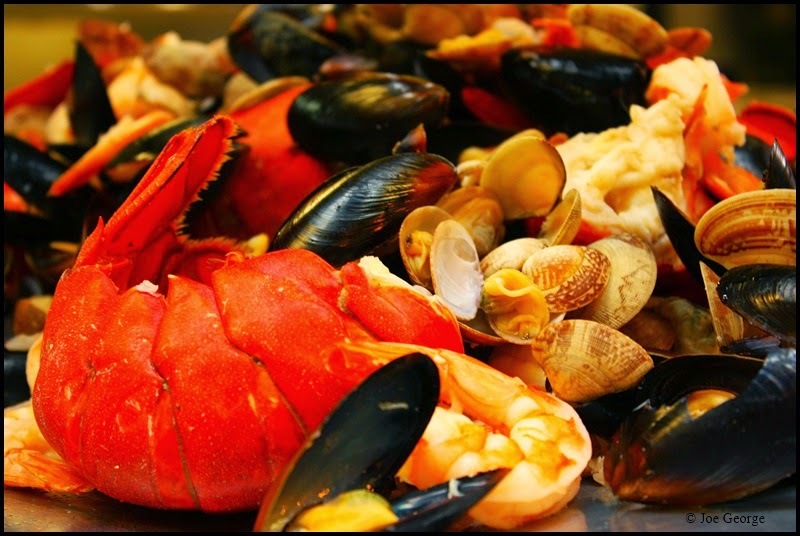 When the seafood is cool enough to handle, remove it from their shells, discard the shells, and dice the seafood as needed. Heat the butter in a heavy soup pot over medium-high heat. When it begins to bubble add the onion, celery, and carrot. Cook the vegetables for a couple minutes then add flour and cook another couple minutes while stirring. Next stir in the tomato paste, paprika, and kosher salt; stirring it to blend with the flour mixture. Add the reserved broth, and using a wire whisk, mix it until smooth. Bring to a boil, then lower to a low simmer. Cook the soup for about 5 minutes, then add the cooked seafood to the pot along with the sherry and cream. Simmer the chowder for another 5 minutes before serving.